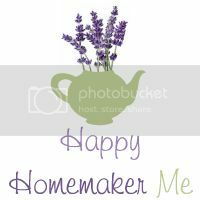 Happy Homemaker Me: Calling All Shipping Pros! I just had the most ridiculous time at the post office. A month ago when I started looking at shipping costs, I got really excited to find out about USPS's $4.95 flat rate shipping. I also got really excited to see that they would send any boxes to you that you requested. So I requested one pack each of small, medium, and large flat rate shipping boxes, totaling 30 boxes to mail my items to customers who purchased things on Etsy. When I went to use my flat rate shipping boxes for the first time today, I packaged two sets of items lovingly in medium sized boxes, tucked them in gently with tissue paper, and set a card inside each box with a note to the recipient. I was proud of myself for packing everything up at home, and doing it in such a nice, presentable way. I was also happy to cut out the hectic packaging in line at the post office. But when I set my boxes in front of the man behind the counter, he put labels on them and promptly charged me $10.20 each. Each?!? What happened to the $4.95 flat rate shipping? I still don't quite understand what he said to me as he briskly tried to finish with me and get on with the next customer. Apparently I picked the wrong boxes. Apparently, the $4.95 flat rate shipping applies to an envelope. What's the point of that? I was flustered, embarrassed, and completely confused. Thankfully, he allowed me to step out of line and shovel my beloved items into smaller boxes that only cost a little over $5 each. I still don't understand the difference, though. Etsy ladies, how do you do it? I always see low shipping/handling costs in Etsy shops, but don't know how you pull it off if the USPS wants to charge me ten bucks to mail someone 50 miles away a hat and scarf. Can you please share your wisdom with me? How do you ship things? What do you charge? What's the secret knowledge that I'm missing out on? First class for most everything or parcel post (if they are over 13 oz). It's so much cheaper. I print my labels from home using paypal, schedule a pickup from the post office and set them on my front porch everyday. The postman will pick it up. The only time I can't do this is overseas because you can't print first class from home for some dumb reason. So have to go stand in line and send it first class. My items are lightweight, so I never have to go parcel. Yes, it's a couple days longer to get there, but it keeps my shipping fees down. It costs me $1.58 to mail a pair of shoes. Now I do have to factor in that I have to buy my own envelopes since it's not priority. It's someone wants them there faster for an event or something, I bill them an extra $5 through paypal to do it. First class or parcel post is 2-5 business days. Priority is 2 -3. For the most part unless it's going all the way across country, priority won't get there any faster anyways. Where do you get your shipping supplies? I thought I was doing a great thing by requesting free boxes from USPS, but had no idea they'd end up costing me an arm and a leg! Is there a particular place you'd recommend I get my boxes from? Hi Bethany! What great questions! I'm sorry that this has been such a pain for you. I wish I had lovely answers. Shipping is actually my least favorite thing about online sales. I've sold on ebay in the past (random things in size & weight). It can be a real pain...especially with the post office changing fees so often. I have a million lovely things to sell...but the shipping thing has led me to procrastinate. I've sold a lot of vintage scarves on ebay. I wrapped them prettily in tissue paper and fine gift wrap quality cellophane and sealed them with my labels. I mailed them in envelopes, which I had to purchase...but I added their cost into my shipping prices. I can tell you, though, that one great place to get free boxes in various sizes is the grocery store. 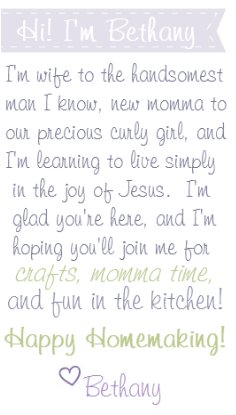 I hope you have a Blessed Thursday! Oh...I know your frustration. I absolutely HATE the United States postal service from similar experiences and refuse to use them, so I don't have any advice. Good luck!